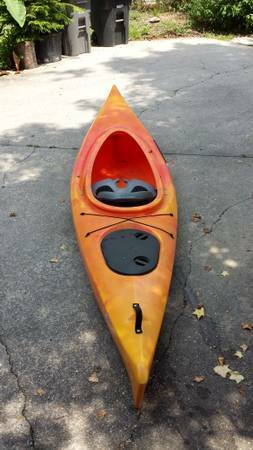 Used early model Old Town Loon 120 Kayak, Good Condition, some cosmetic scratches. Great for Rivers and Lakes. Weight 54lbs, Length 11.5, Sold with Paddle and cockpit cover. Paddle length 220.